Lamps are a bit boring - a standard shade hovering over a bulb has been done so many times that we simply don't notice it anymore. You can try as many different colours and patterns as you like, it is always a lamp that will eventually blend in to it's surroundings. 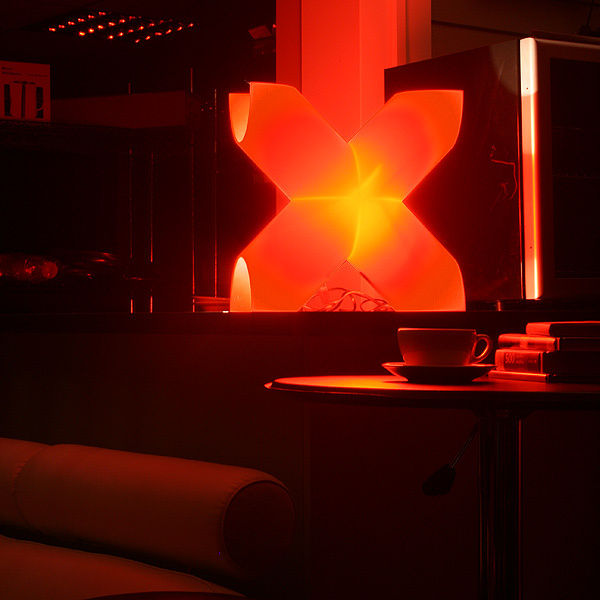 Striking a large cross through the stale lamp world, the X Lamp forces itself into your viewpoint with it's pointed sides and unique design. No longer will you think of lamps simply as a means to see in the dark, this table lamp makes you take notice and recognise the joy of contemporary design. With the X Lamp being such an unusual design, you might like to use it for means other than lighting your living room; you could pretend you're one of the X-Men and fight bad guys in your bedroom, or you could even bury some treasure and use it to mark the spot so pirates will know where to go! 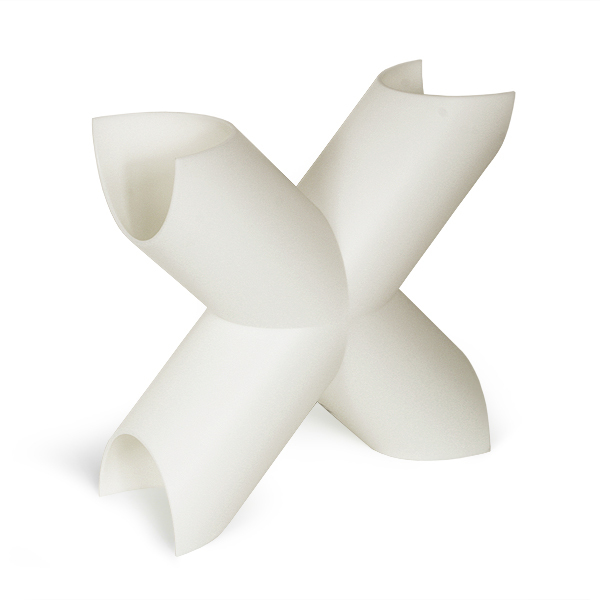 The X Lamp is made from a sturdy acrylic plastic in white allowing you to choose the right colour for your home. The body of the X Lamp illuminates the surrounding area, giving your room a colourful atmosphere, while out of the 4 points comes the white light of the bulb. You could even experiment by fitting a coloured bulb to enhance the glow! Choose either a standard 100W bulb, or go for the greener option of a 20W energy saving bulb and your X Lamp will give your home a touch of the world of contemporary design. Designed in Paris, this unique lamp can stand on any of it's sides as it is completely symmetrical, though of course the cord only comes out of one of the points, so that might influence you! 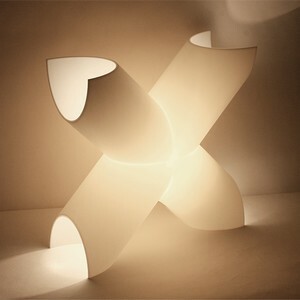 Fittings are also included, so you can fix the X Lamp to your wall to cast beams of light on your walls.